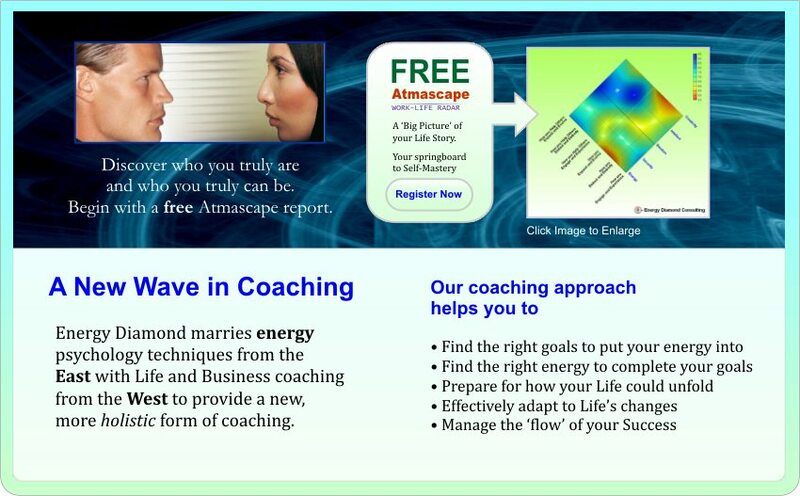 The software we use, 'Atmascope', is in essence a 'resonance engine', an instrument that can identify the resonance, 'chemistry' or authentic relationships within and between people. 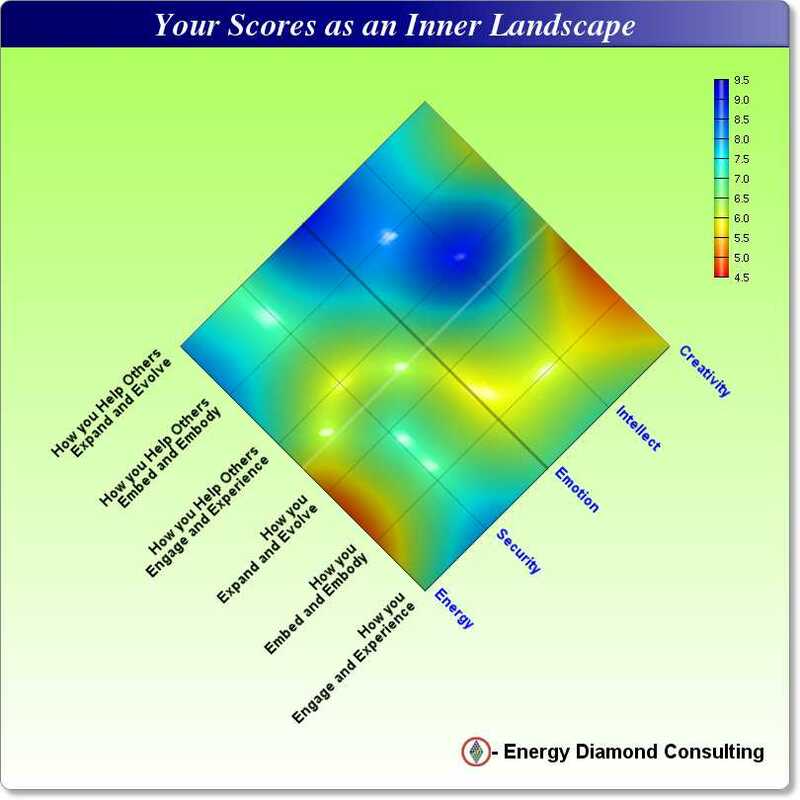 The initial output of Atmascope is a diagnosis of resonance and dissonance described in an 'Atmascape' report. Advanced applications can allow us to measure and harness the resonance between two or more things whether those things are people, ideas, products or services. Examples of applications of the Atmascope Resonance Engine are given below. The Resonance Engine provides a system that identifies what a person truly resonates with and helps them engage with it to fulfill their true purpose in Life and Work. It's main focus is to establish and enable values to authentically live by and to develop them into valuable contributions to a persons life and personal mission. The engine uses internet based software that scientist and business coach Jazz Rasool developed through several years of research with hundreds of coachng and consultancy clients. Combined with live consultation with a Resonance Engine coach, the software can help you precisely discover your drives and inertia and then empower you to manage them so you can come to live a life of genuine meaning, vitality and purpose. "Business is about taking your values and making them of value so that they become value-able to others." In essence the Atmascope Resonance Engine faciltates the conversion of inner values into world useful valuables. In Coaching and Therapy, Atmascope approaches were first used to help clients identify their real challenges and untapped strengths and focus them towards an empowering purpose which they were looking to make a real difference with. In Personal Life, apart from being able to be used for a personal re-evaluation of ones life, Atmascope can be used to show the shared relationship landscape of a couple, family, or community. In Business, different Atmascapes can be combined and referred to in optimising relationships within teams, organisations, between customers and staff and most significantly between a company and the markets it operates in. For Health and Resilience, Resonance Engine Atmascapes can produce MRI or Catscan-like images of your life identifying areas of Stress and Challenge as well as Opportunity and Resilience. Used with coaching or therapy this can lead to enhanced Wellbeing, Vitality and Motivation. For Matching, Resonance Engine Atmascape profiles can be used to match retail products or services to customers, identify make up of voters in elections, link people together for romantic relationships, and even as a form of personal icon or id. In Education, Atmascope can be used to assess students learning direction and highlight imminent challenges and opportunities. Combined, different Atmascape Profiles can be used to create a group learning style for a class of students with mixed needs. Got a novel idea for how the Atmascope Resonance Engine can be used? Your view is welcome.